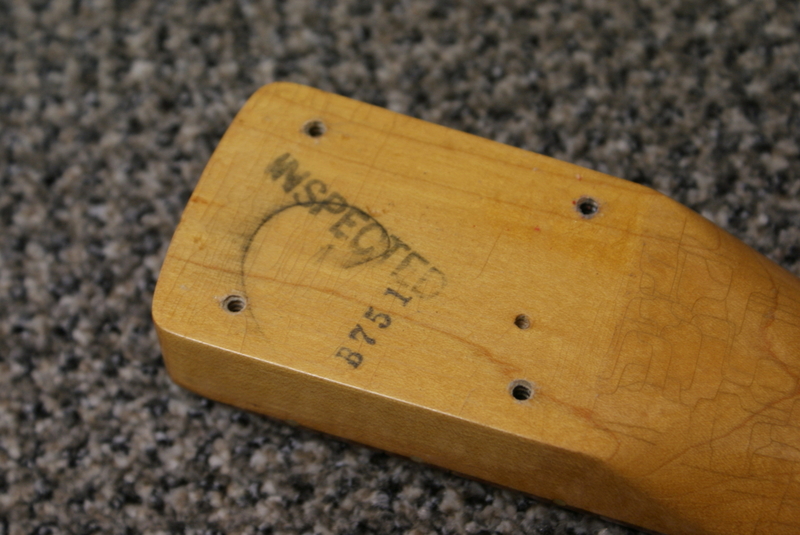 Neck Details: One piece maple neck with unbound rosewood veneer board. 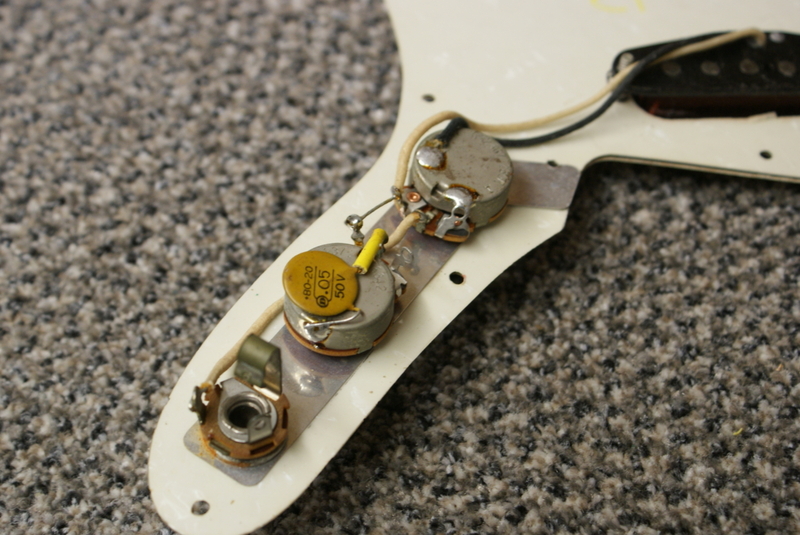 Electronics: Original black bobbin pickup and pots. 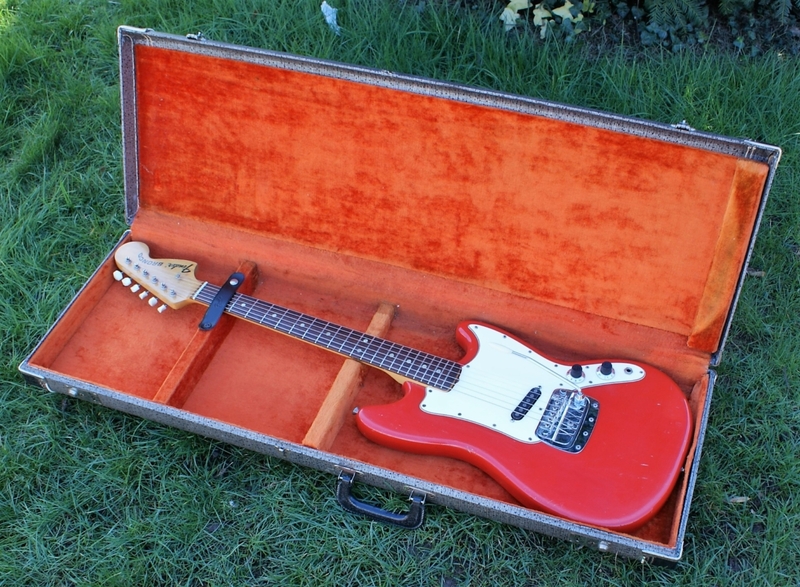 Here we have a lovely old gal, this is a lovely 1967 Fender Bronco finished in Fiesta Red. 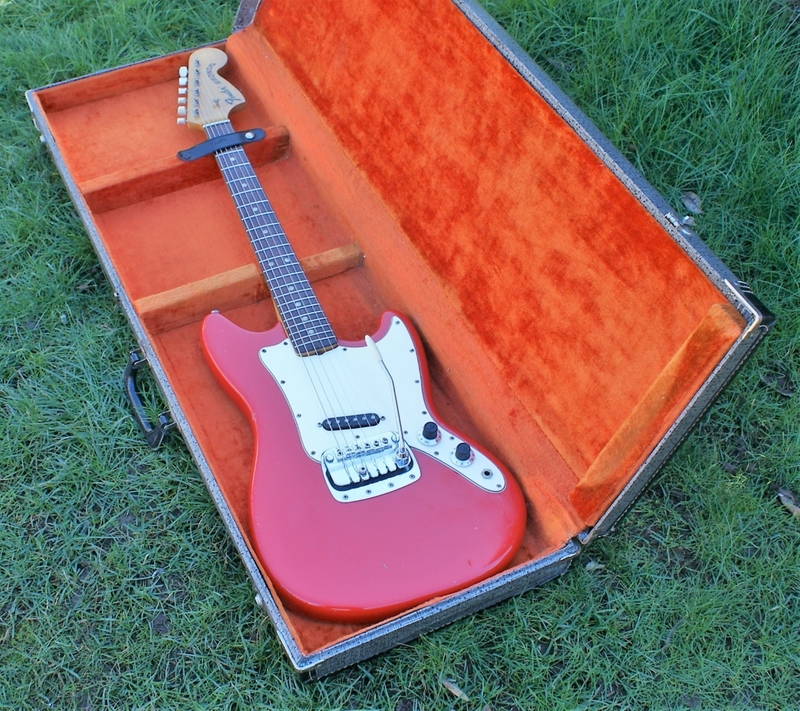 She is in all original condition including electrics. 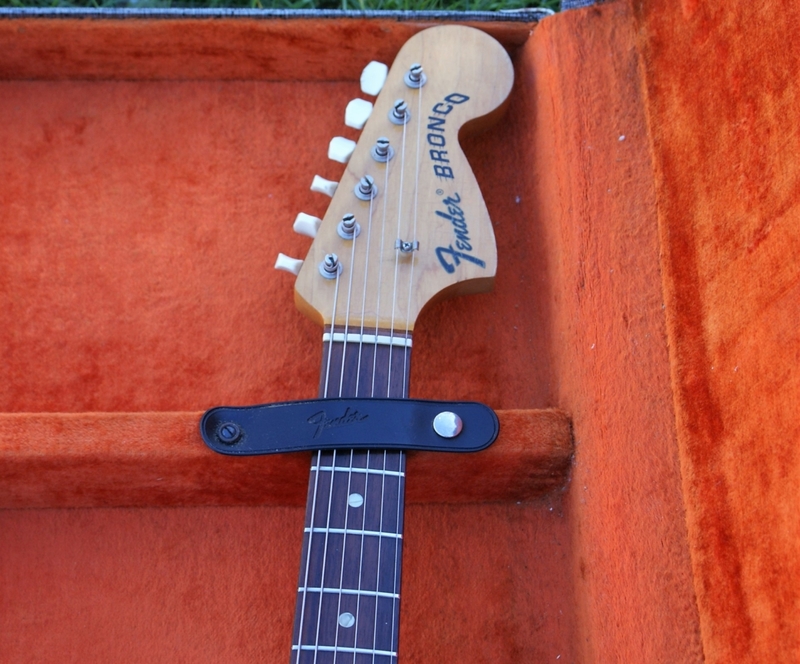 The neck is straight & the action lovely. 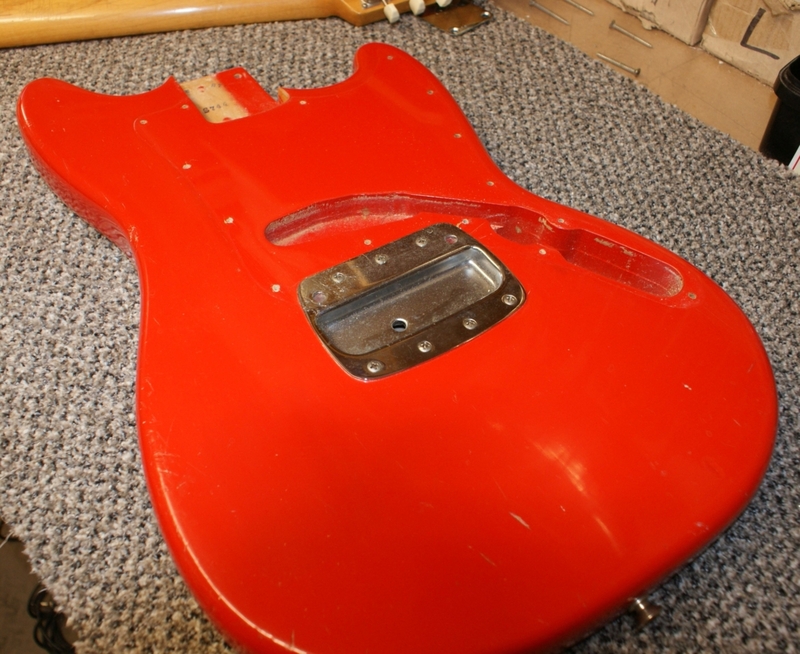 There is minimal fret wear & the body paint is in all-round very good condition, with just some expected, minor bumps & bruises (After all, she is over 50 years old!) 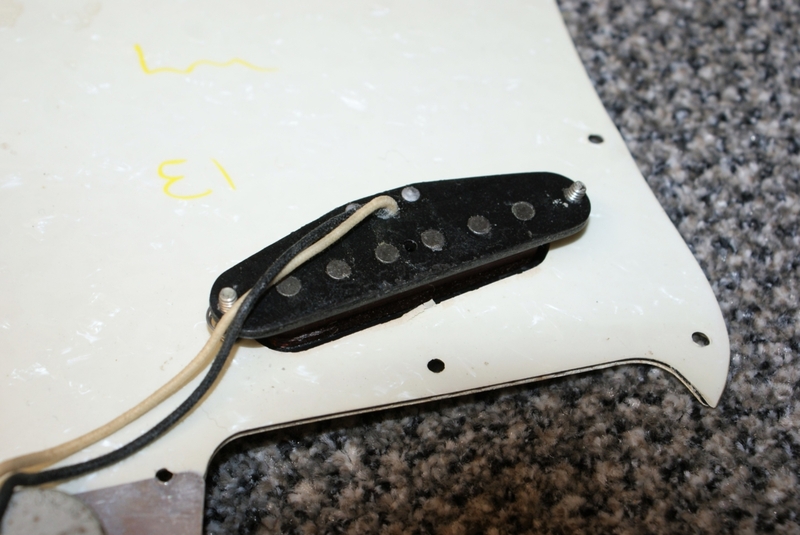 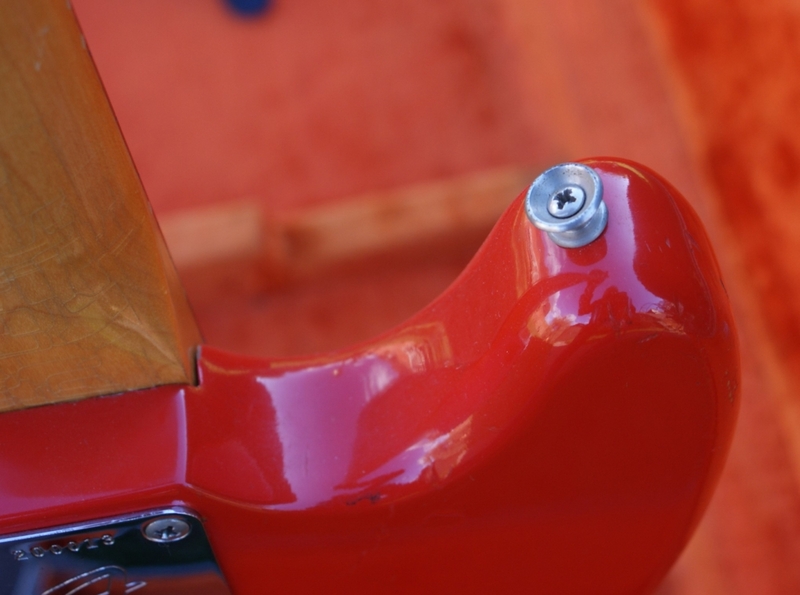 In the past, someone has removed the pickup cover to show the exposed pickup pole pieces & since that time, the scratchplate has shrunk ever so slightly (Less than 1mm) But now the cover won’t quite fit back through the pickup slot! 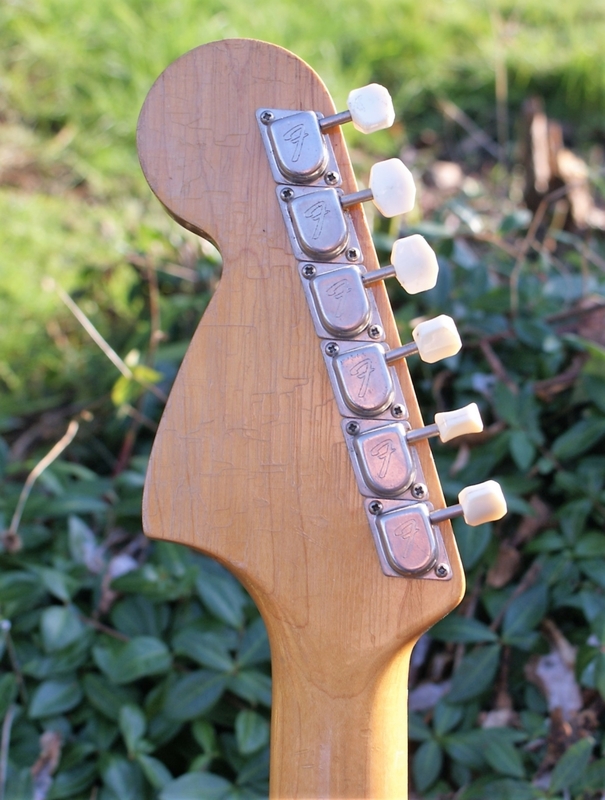 Its less than 1mm difference & that could be easily dremeled/sanded out etc, but we will leave that to the new owner to do should they wish to! 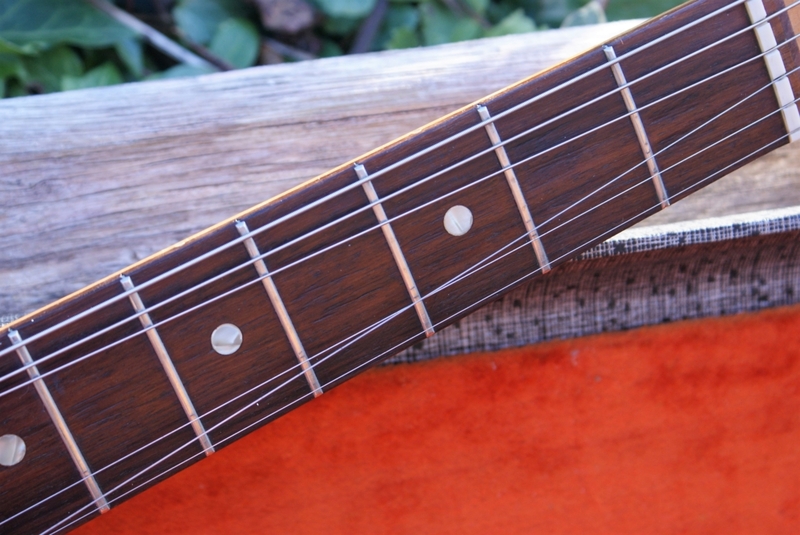 We will of course include the cover with the guitar. 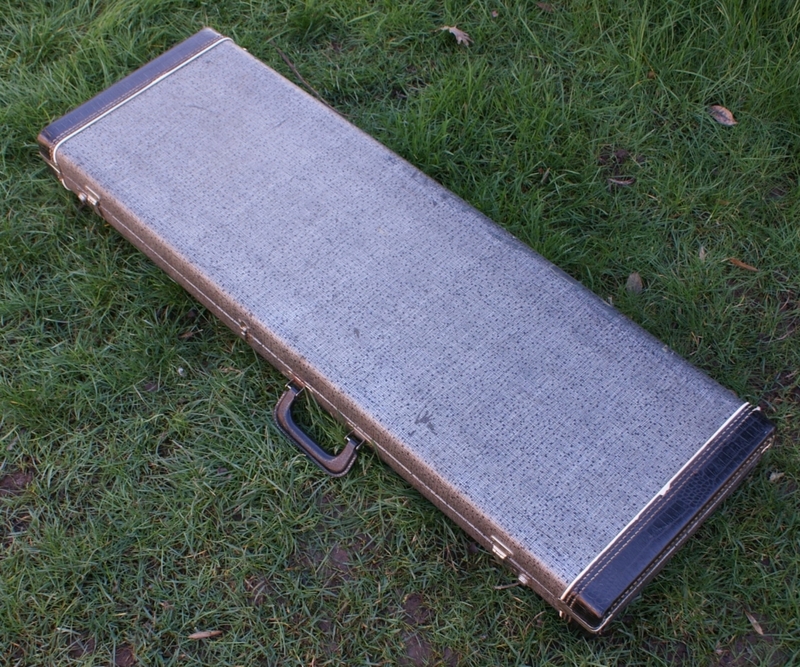 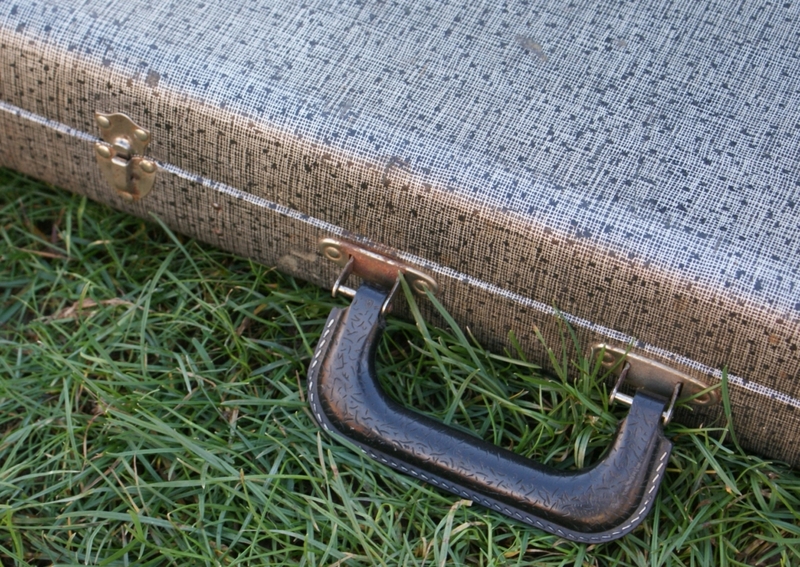 She sleeps in her original & charming silver Tolex case, which is in great condition. 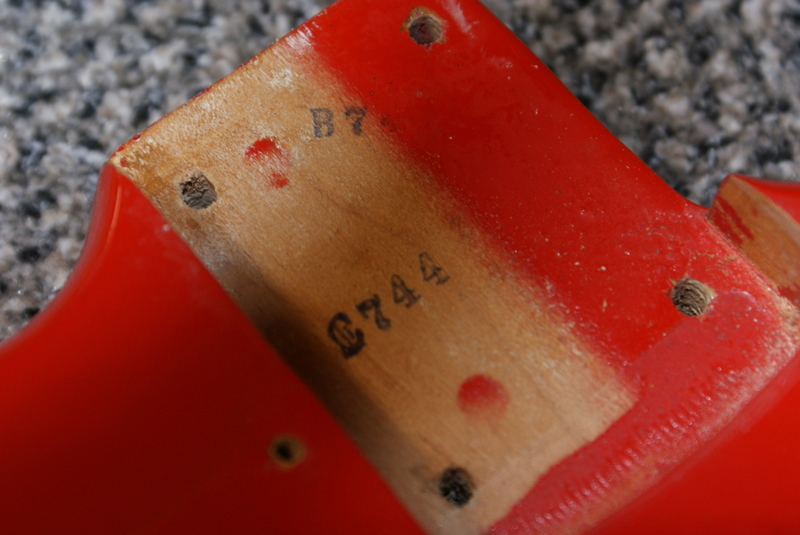 It just has the centre clasp missing, but still latches perfectly on the outer two catches. 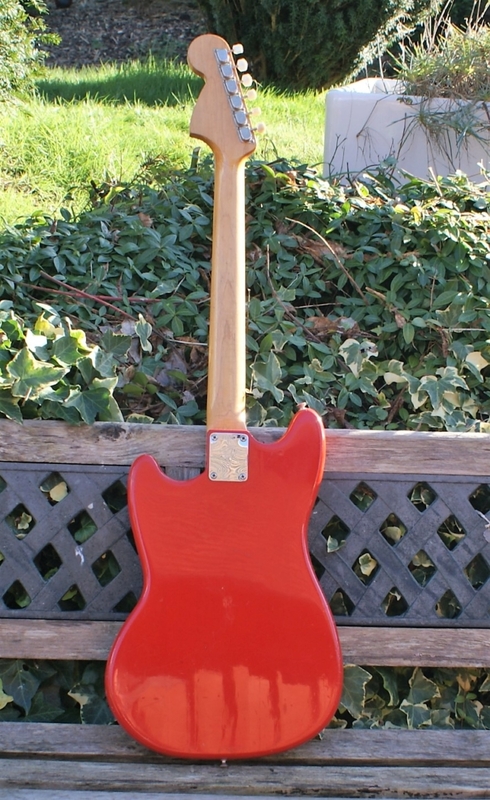 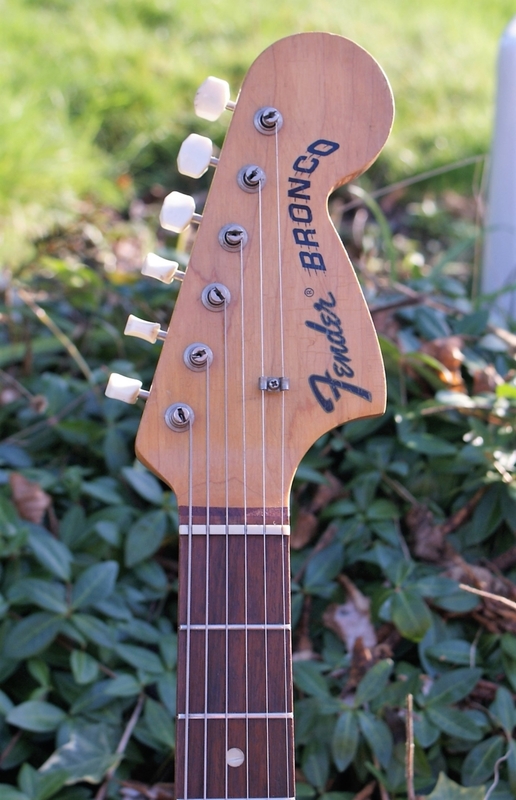 The Fender Bronco introduced in 1967 as a student level electric guitar. 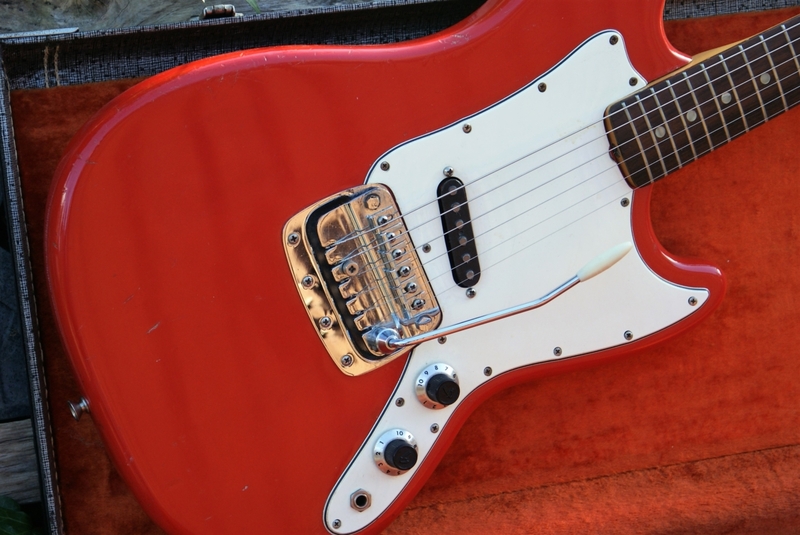 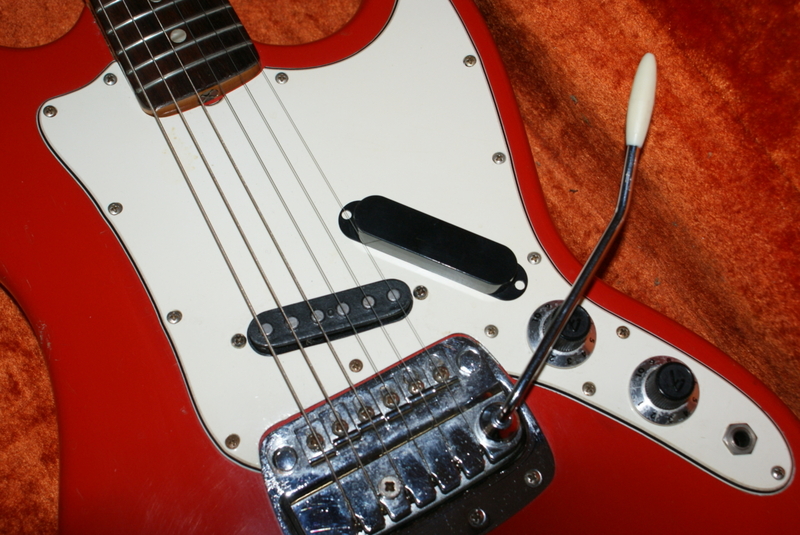 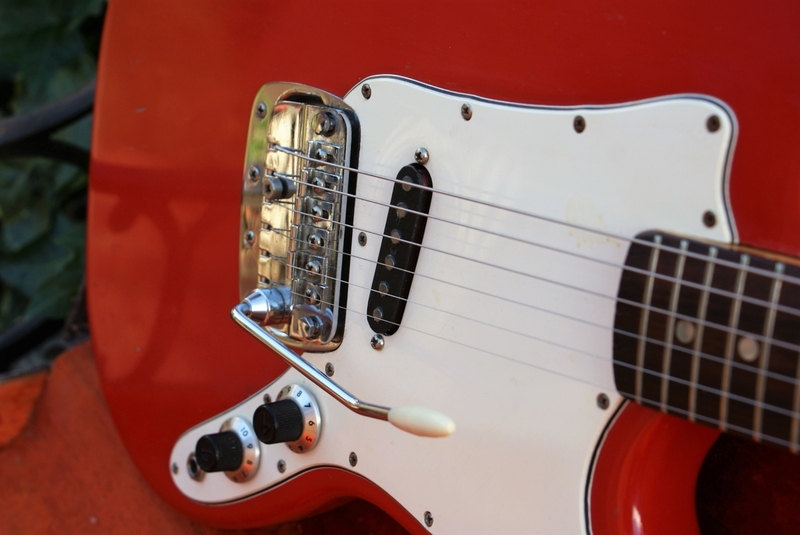 Fender made the Bronco using a Mustang body and neck but used a single pickup in the bridge position and a different tremolo arm mechanism (the Fender steel vibrato unique to the Bronco). 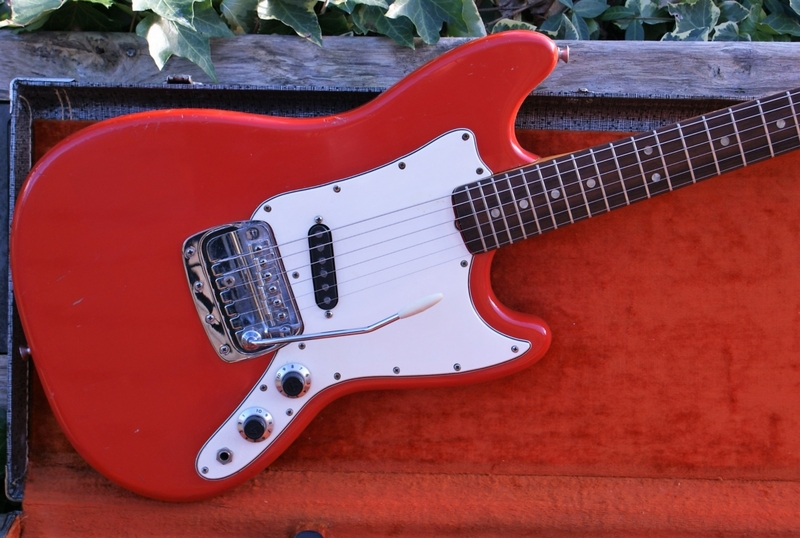 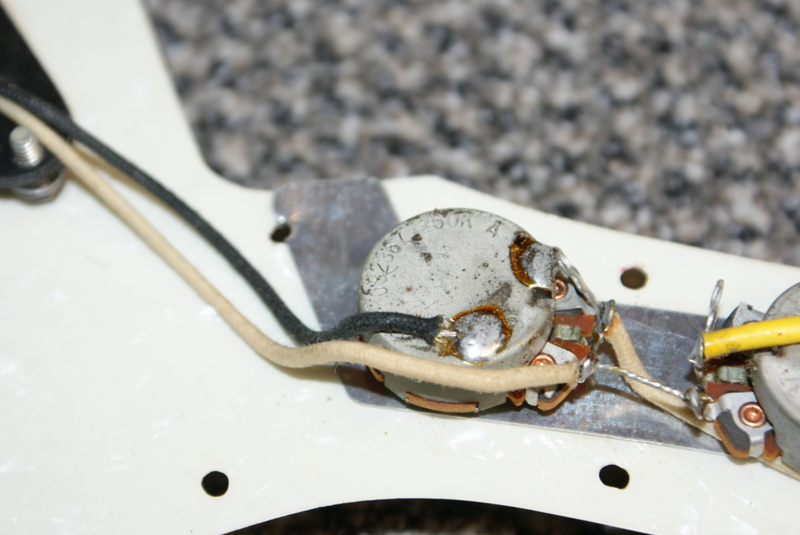 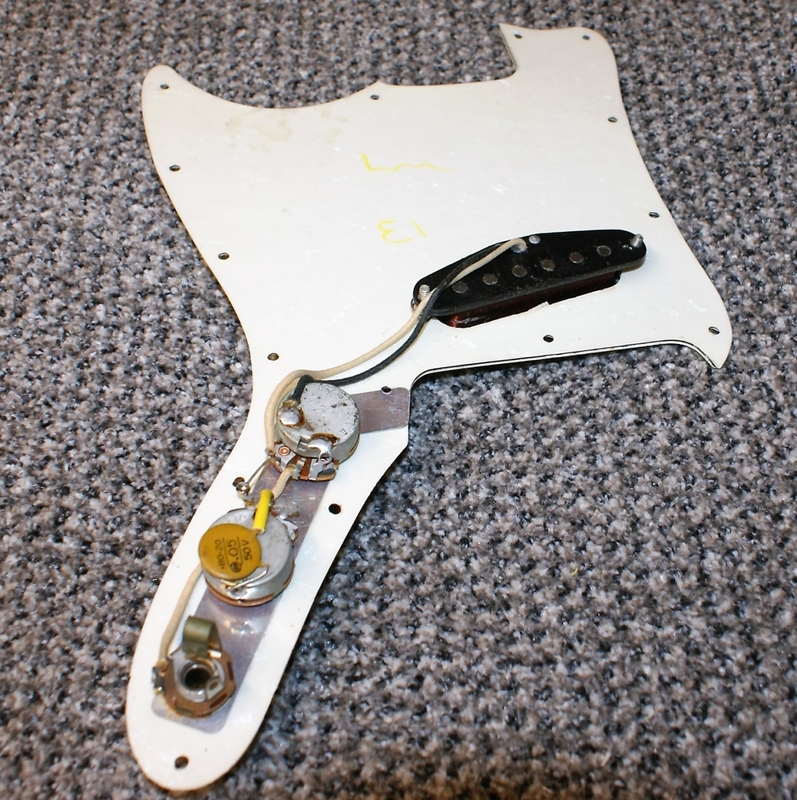 The Bronco had a longer 24″ scale length unlike other Fender Mustang variations which had 22.5″ scale length. 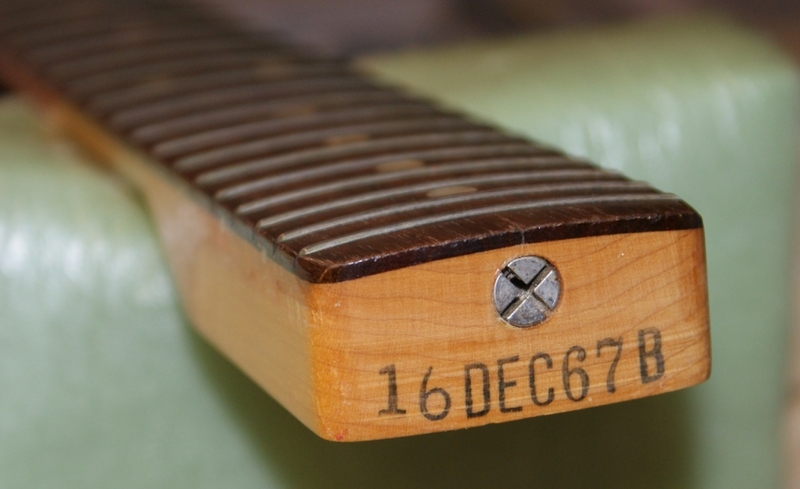 The neck was maple with a 22 fret round laminated rosewood fingerboard and dot inlays. 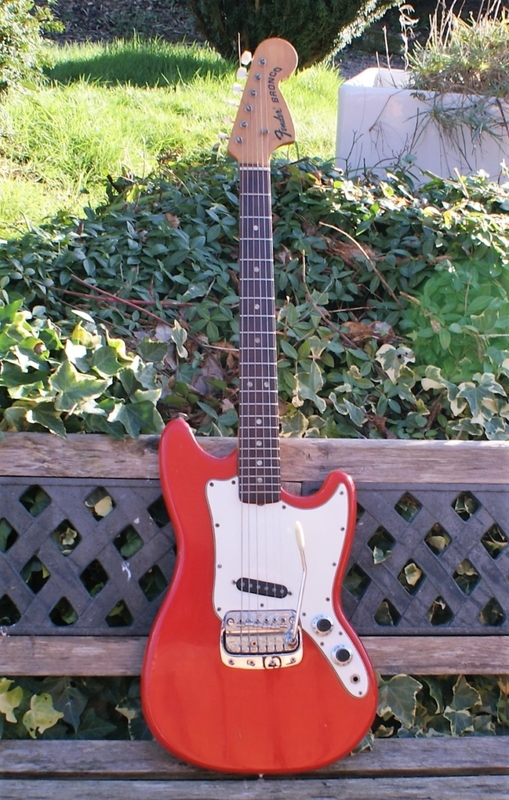 The early Bronco was usually produced with a rosewood fingerboard and standard fiesta Red finish. 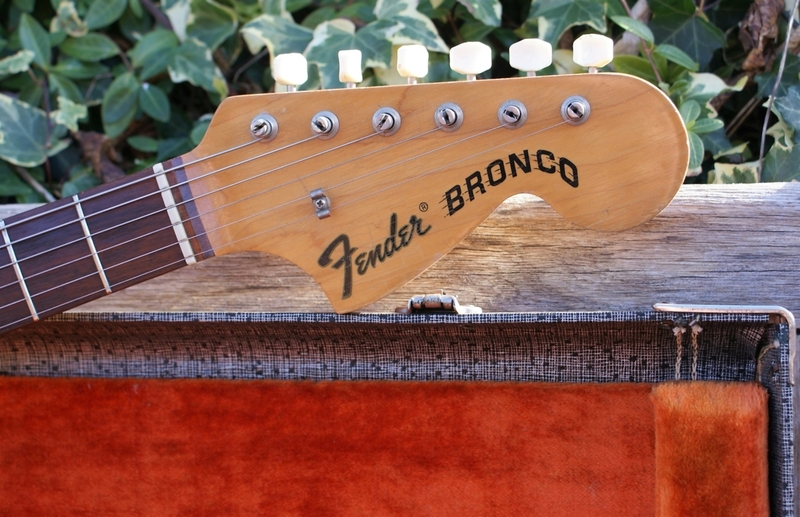 The Bronco was discontinued in 1981 and replaced by the Fender Lead Series. 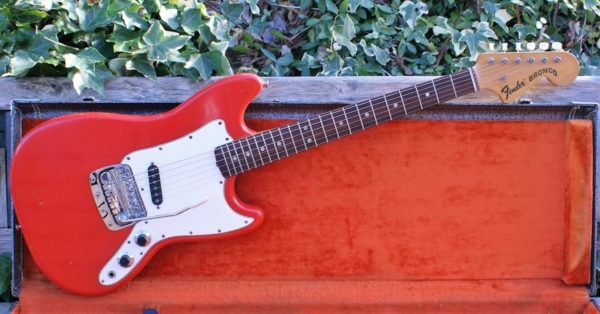 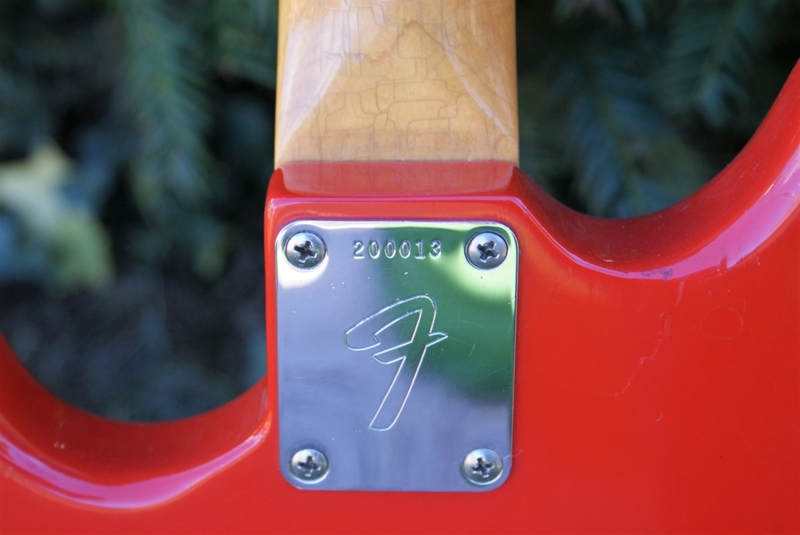 Fender has not yet reissued the Bronco guitar.